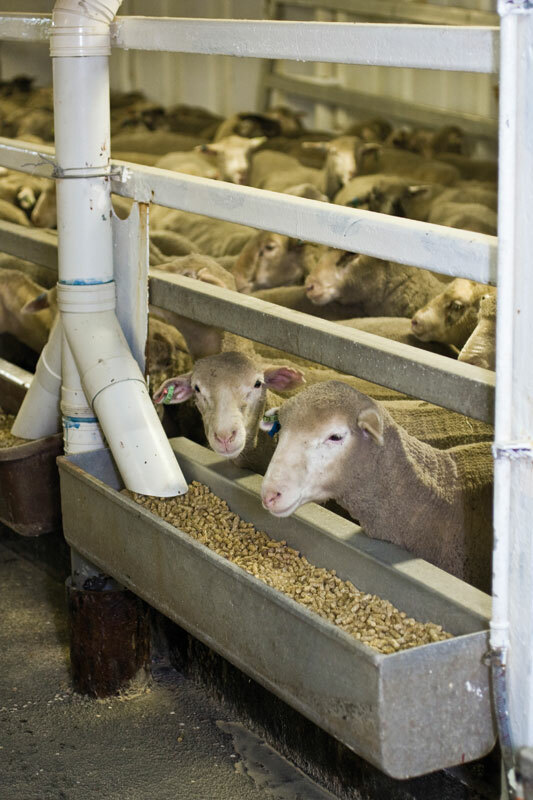 The importance of the livestock export industry to regional communities is amplified in northern and western Australia, where livestock production has been transformed to meet the requirements of South-East Asian and Middle Eastern markets. For many cattle producers in these areas the industry is the only source of income, and they supply the majority of live animals for export – approximately 75% of sheep from Western Australia and 80% of cattle from Northern Australia. Another important but under-appreciated factor is that the demand for livestock for export helps support the price Australian farmers receive for their sheep and cattle in our domestic market. Why Does Australia Export Livestock? Many countries do not have the resources or geography to efficiently produce livestock to feed their people; however, Australia is able to meet the demand for live, chilled and frozen meat products. Our export markets seek Australian livestock due to logistical difficulties in delivering and storing meat, cultural and religious preferences and its price. Many consumers in our export markets earn low incomes and often do not have refrigeration or a reliable power supply, meaning they shop for fresh meat daily. The supply of livestock and chilled or frozen meat often caters to distinct markets that are not interchangeable. In 2007, Australia could not meet the Middle East demand for livestock. The gap was not filled by Australian boxed meat but by live animals from Sudan, Somalia and Iran – countries that do not share Australia’s commitment to animal welfare. The Australian livestock industry has long been a world leader in improving animal welfare standards for livestock exported overseas. Australia is the only nation to regulate international animal welfare standards from the paddock to the point of processing. The industry has made major investments over many years in improving every element of the supply chain, be it on-farm, road transport, on-vessels and in overseas processing facilities. These investments have been accompanied by an on-the-ground presence in our markets, training local workers and educating the industry about our animals and how they should be handled. For example, through investments in the quality of livestock export shipping more than 99 per cent of animals transported by sea arrive at their destination fit and healthy. The Australian Government is responsible for regulating livestock exports. It does this through its enforcement of the Australian Standards for the Export of Livestock (ASEL) and the Exporter Supply Chain Assurance System (ESCAS). The ASEL standards outline animal health and welfare requirements from the farm through to the discharge of the animals in the country of destination. Our farmers are proud of the quality animals they raise. And delivering these animals in good condition to our export markets underpins the livelihoods of our farmers and exporters. Farmers must comply with animal welfare laws and regulations enforced by the states and territories. To help cattle and sheep farmers implement animal welfare practices on their farms, codes of practice have been developed to provide information to farmers around the production and care of livestock. These codes define acceptable welfare practices for livestock husbandry and transport. These documents are currently being updated and replaced as part of the Australian Animal Welfare Strategy to form mandatory standards and guidelines for the welfare of animals. The ASEL standards also require stringent reporting from exporters to ensure that the government can monitor animal health and welfare throughout a voyage. During sea voyages, livestock are cared for by highly experienced industry-accredited stockpeople and, in the case of long-haul voyages, government-accredited veterinarians who ensure that animals have constant access to food, water and veterinary treatment. At the export destinations, livestock are tended to by trained stockpeople in feedlots with shade and continual fresh water and food. Australian animal welfare experts are based in export locations and regularly deliver animal welfare training and education programs, and make improvements to infrastructure and livestock facilities. Under the ESCAS, the responsibility for ensuring global animal welfare standards are met at each stage of the export supply chain lies with the commercial operators – the exporters and importers of Australian sheep, cattle and goats. •	is independently verified and audited by internationally recognised third party auditors. Where breaches of the ESCAS occur in our marketplaces, immediate action is taken to remedy the situation as soon as it is identified. The ESCAS stipulates penalties for breaches, including revoking export licences, applying additional conditions to licences or the stationing of animal welfare officers at facilities, through to criminal sanctions for the most serious offences. In response to the ESCAS, the livestock export industry has continued its investment in upgrading infrastructure and processes, including the installation of stunning equipment in some processing facilities. The livestock export industry has a strong commitment to research and implementing outcomes that improve animal welfare. It is important that all industry standards are founded on rigorous scientific evidence. More than 70 per cent of the industry’s research and development investment is in animal welfare and targeted at supporting the continuous improvement of livestock health, welfare and management throughout the supply chain. Projects include the development of training programs for the management of Australian livestock overseas, aligning with the industry’s standard operating procedures and Australian Government guidelines. Australia leads the world in implementing animal welfare initiatives in the livestock export industry, here in Australia, on-board ships and in our overseas market places. We are the only country in the world that invests in improving animal welfare in the countries that we export livestock to. Without Australia in the market, countries in Asia and the Middle East would simply source animals from other nations with little or no commitment to animal welfare. Our ongoing involvement in the livestock export trade provides an opportunity to influence animal welfare conditions in importing countries. The industry is constantly striving to improve its systems and, of course, the care and handling of livestock right through the supply chain. Where there are breaches of the regulations, immediate action is taken to remedy the situation and learn from the mistake. The Australian livestock export industry makes a vital contribution to the national economy, provides much needed protein for global communities, supports the livelihood of thousands of Australian farming families and communities and, through its leadership, is significantly lifting the standards of animal welfare abroad.